An innovative Berkeley Lab accelerator design has been accepted by the Department of Energy for development as part of a Los Alamos-based facility that will contribute to the nation's effort to eliminate the need for nuclear weapons testing. DARHT--the Dual Axis Radiographic Hydrodynamic Test facility being built at Los Alamos National Laboratory--consists of a pair of giant x-ray machines strong enough to see through metals. It will analyze the effects of implosions during non-nuclear mock-up experiments--simulations that will render actual weapons stockpile testing unnecessary. Berkeley Lab's Accelerator and Fusion Research Division will build one of the two linear induction electron accelerators for DARHT, an effort that Laboratory Director Charles Shank says is consistent with the Laboratory's legacy of accelerator production excellence. He notes that the work is unclassified and non-nuclear, and that no full-scale beams will be produced here. The City of Berkeley has questioned the project as a possible violation of its "Nuclear Free Berkeley Act." Berkeley Lab's work on DARHT is actually compatible with this act and with the national nuclear agenda, according to Shank. In a letter to Berkeley Mayor Shirley Dean and City Manager James Keene, Shank emphasized that the Laboratory's work for DARHT has nothing to do with the design or development of new nuclear weapons, and thus adheres to the tenets of the Nuclear Free Berkeley Act. "I believe our work is consistent with the purpose and intent of the Comprehensive Test Ban Treaty (CTBT), the Nuclear Non-Proliferation Treaty, and the Nuclear Free Berkeley Act," he wrote. "The DARHT project is a key technical component supporting the CTBT. DARHT will allow President Clinton and Congress, as well as future national leadership, to feel confident that the stockpile of nuclear weapons is safe and reliable. This may ultimately lead to stockpile reduction. Thus, I believe our technical efforts support the process of reducing and eventually eliminating the nuclear threat, consistent with the letter and spirit of the Nuclear Free Berkeley Act." Shank stated his commitment to the objective "that there should be no more nuclear explosions on Earth," and he vowed that Berkeley Lab "has not been and will not be a part of a project created for the purpose of designing new nuclear weapons." He noted that this work at Berkeley is consistent with the fundamental science and technology development carried out at universities like Berkeley, Stanford and Caltech. The accelerator work here will be unclassified, subjected to rigorous reviews and to publication of results. 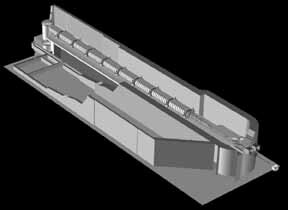 "In designing and building a linear induction accelerator for the DARHT project, Berkeley Lab will develop components similar to those previously built for the fusion energy science program," he said. Final assembly of the accelerator will be done at Los Alamos. Within an estimated project budget of $256 million, Berkeley Lab's portion is about $40 million. Congress has yet to accept the total project plan from the Department of Energy, although the FY98 budget includes funding for the second axis of DARHT, and Berkeley's initial design work has been authorized. DARHT is expected to be operational with its first x-ray machine during the summer of 1999 and with the second machine during calendar year 2002. The DARHT x-ray machines are based on linear induction electron accelerators. Because of Berkeley Lab's many decades of expertise in building accelerators of this type, it was asked by Los Alamos to examine various approaches for DARHT's second axis. 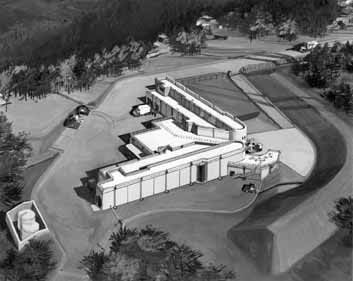 Berkeley Lab's design includes the linear accelerator as well as the electron injector and pulse power drivers. "We have a long and successful record not only in building advanced accelerators, but also in synergistic collaboration with other institutions," Shank said, pointing to examples such as the Superconducting Super Collider, the Spallation Neutron Source, accelerators and detectors at Fermilab, and the B-factory project at Stanford. The City of Berkeley's letter of inquiry suggested that the research conducted by DARHT, if it serves to "modernize the nuclear stockpile," could conflict with the purpose and intent of the CTBT, the Nuclear Non-Proliferation Treaty and the Nuclear Free Berkeley Act. At its meeting on Oct. 28, the City Council asked the City Attorney to investigate whether Berkeley Lab's contribution represented a violation of the act. Shank was adamant that it does not. "The relationship (with the act) is compatible, the goals consistent," he said in answering the City's central question about the project. And he called upon the City to "resolve jointly with the Laboratory to support the international struggle for stockpile reduction, permanent cessation of nuclear weapons testing, and elimination of all weapons of mass destruction." The City of Berkeley Chamber of Commerce has forwarded a letter to the Mayor and City Council expressing its strong support of the Berkeley-based DARHT work. The Nuclear Free Berkeley Act, passed in 1986, has among its central purposes "to oppose the arms race by prohibiting work for nuclear weapons," as well as "prohibit nuclear reactors...food irradiation plants...(and) to oppose the nuclear fuel cycle as a whole." It expresses its prohibition for any person, corporation, university, laboratory, institution or other entity in Berkeley to "knowingly engage in work for nuclear weapons." Among its exclusions are "any unclassified research, study, evaluation or teaching." As a federal facility managed by the University of California, Berkeley Lab is not subject to local regulation, absent any waiver of its sovereign immunity. the capability of imaging implosions in three dimensions. The facility consists of a pair of giant x-ray machines strong enough to see through metals. These machines take "flash pictures" fast enough to see what is going on--step by step--during the detonation of conventional explosives in a non-nuclear mock-up of a weapon. The project is being funded by the U.S. Department of Energy and will be built at Los Alamos National Laboratory in New Mexico. Berkeley Lab is designing and will build the second axis. DARHT will be part of one of the most important missions of the DOE, science-based stockpile stewardship. This means making sure, without field testing, that the nuclear weapons that form part of our nation's defenses remain reliable and safe as their internal components get older. Confidence in the stability and predictability of these components is also important for the large effort currently under way to remove weapons from the stockpile. In a previous era, this might have been done simply by exploding a nuclear weapon underground at the Nevada Test Site. But progress in international relations led to a moratorium on nuclear testing in 1992. Instead, scientists remove the nuclear materials in a weapon, replace them with dummy substitutes of comparable shape and properties, and set off the conventional explosives. A facility like DARHT can gather crucial data on hydrodynamics (so-called because the same laws that describe fluid motion apply under these circumstances) in the brief and hard-to-study few microseconds of an implosion. Such data is vital to assure the safety and reliability of the nation's nuclear weapons in a future without underground nuclear testing. DARHT has been proposed to include two high-intensity x-ray machines whose beams cross at right angles. Each machine has been designed to generate radiographs of far higher resolution than anything previously obtainable--the resolution required for stockpile stewardship without underground nuclear testing. For the first time ever in this country, the dual-axis nature of the facility will allow researchers to obtain three-dimensional as well as time-resolved information. The facility is being completed in two phases. The first phase includes construction of the full DARHT building and the first of the two x-ray machines. The second phase will provide a second x-ray system that will have the capacity to generate four high-quality radiographs during a single hydrodynamic experiment. The DARHT x-ray machines are based on linear induction accelerators, a technology derived from that of the Fusion Energy Research Program here at Berkeley Lab. An intense pulsed electron beam (4 kiloamperes at 20 million electron volts) strikes a tungsten target, creating x-rays in kilorad quantities. The first machine, planned for operation in 1999, will provide a pulse 60 nanoseconds long. The second more powerful and sophisticated machine is the one Berkeley Lab is designing, having been chosen by Los Alamos after a competitive Technology Options Study. In this machine, a "macropulse" two microseconds long will be chopped into four 60-nanosecond pulses, providing four snapshots in quick succession. One of the pulses from the second axis can be synchronized with that of the first axis so that three-dimensional information can be reconstructed. This axis is expected to be operational in 2002.